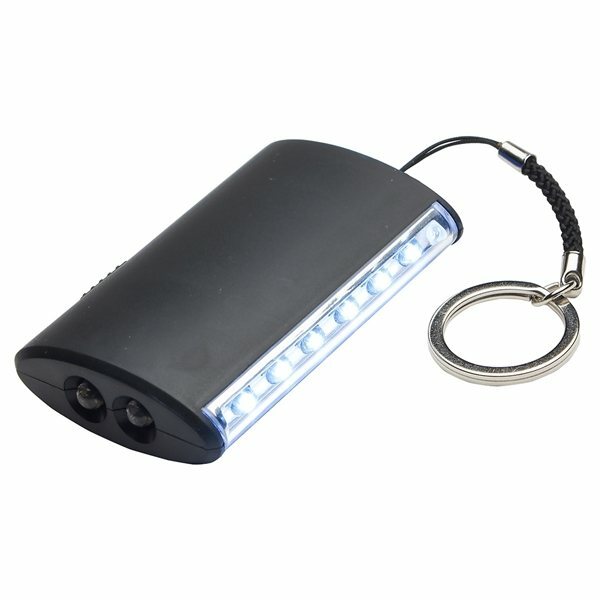 Features two LED lights on end and six LED lights on the side. Lanyard with split key ring. Powered by 2 AAA batteries, inserted. the logo is much larger then anticipated but exactly what I was hoping for. Once again an awesome product and shopping experience with you. Product received on time. Customer happy with what they ordered. Customer service was outstanding. Thanks. loved the personalized availability.